Who says red and pink can’t go together? 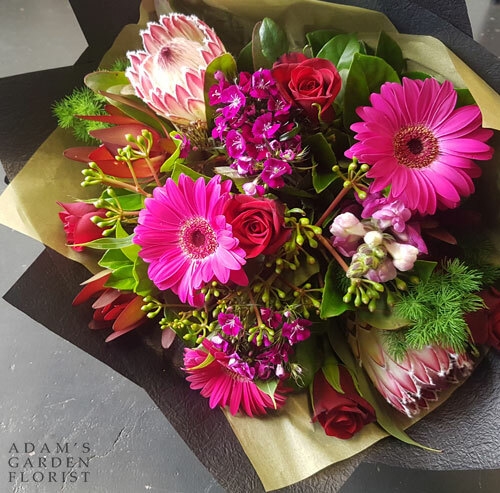 We love the bold and vibrant feel to this combination of pinks, almost magenta, and deep reds, combined with lush and textured greenery. To see some other bouquets check out our online shop.